My favorite part about writing articles is learning something new about the world. Whether it’s technology, art, or (as in this case) nature – there’s always something amazing to learn. 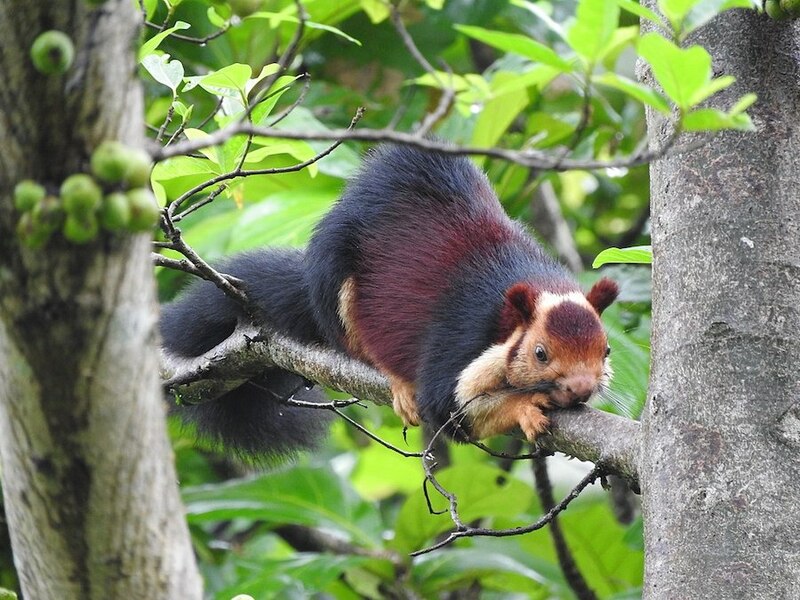 Lately I’ve been seeing more and more pictures of the Indian giant squirrel online. 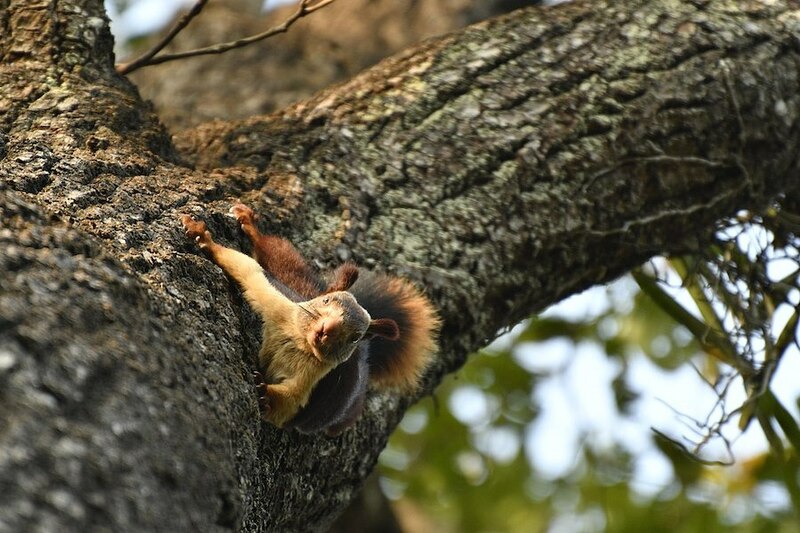 This isn’t the kind of squirrel you’re used to seeing in your neighborhood park, that’s why this giant-tailed squirrel has gone viral! 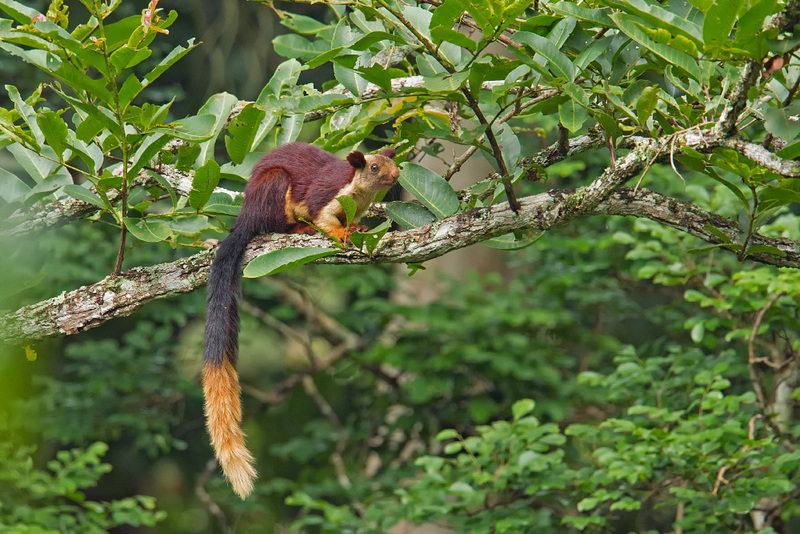 The Indian giant squirrel is native to (you guessed it) India. Its scientific name is Ratufa Indica and it usually inhabits the higher levels of canopies in the forests of South Asia. 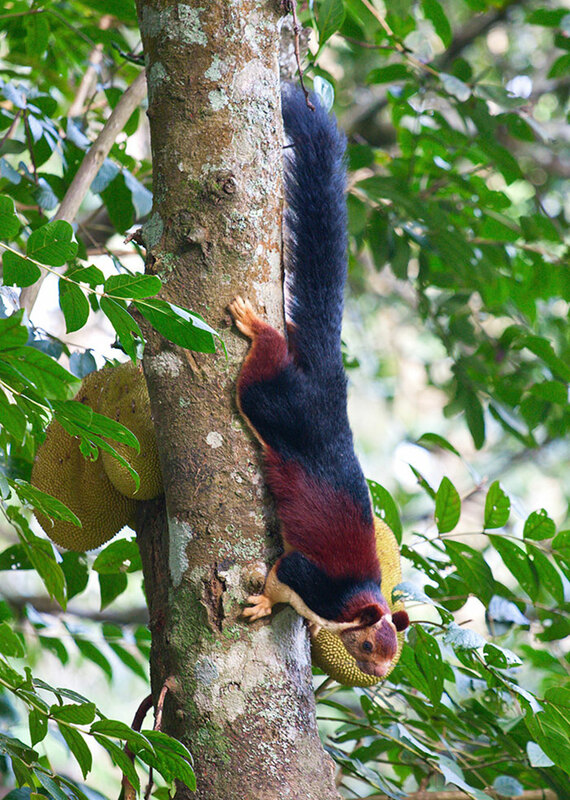 Indian giant squirrels are usually two-colored (although three-colored specimens can be found as well). Most of their fur is brown and they are commonly known to have cream or tan colored paws, tail, and belly. Their coloring and movement patterns help them hide from predators, allowing them to blend in with the colors of the branches that surround them. Most common squirrels are between 25 and 30 centimeters (9-11 inches) in length. 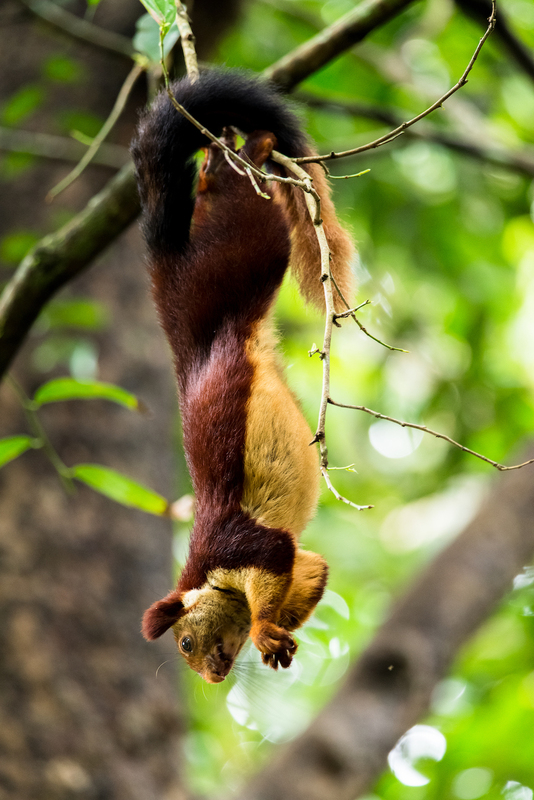 The Indian giant squirrel, on the other hand generally has a body that is around 36 centimeters (14 inches) in length. In the grand scheme of things that’s not that big of a difference, but in the squirrel world six extra centimeters can make you a giant! If you thought that 36 centimeters of squirrel isn’t enough, consider that their tails alone are also 60 centimeters (nearly 2 ft!) in length. This squirrel is nearly 70% tail and just 30% actual squirrel. 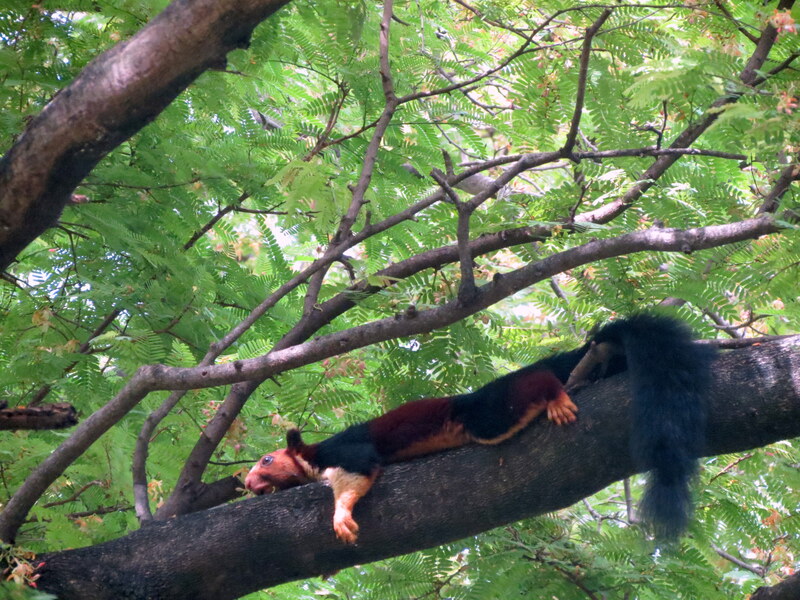 Giant indian squirrels are mostly herbivorous, meaning they mostly eat plant-based foods. Like their common counterparts, they mostly subsist on nuts and fruits. 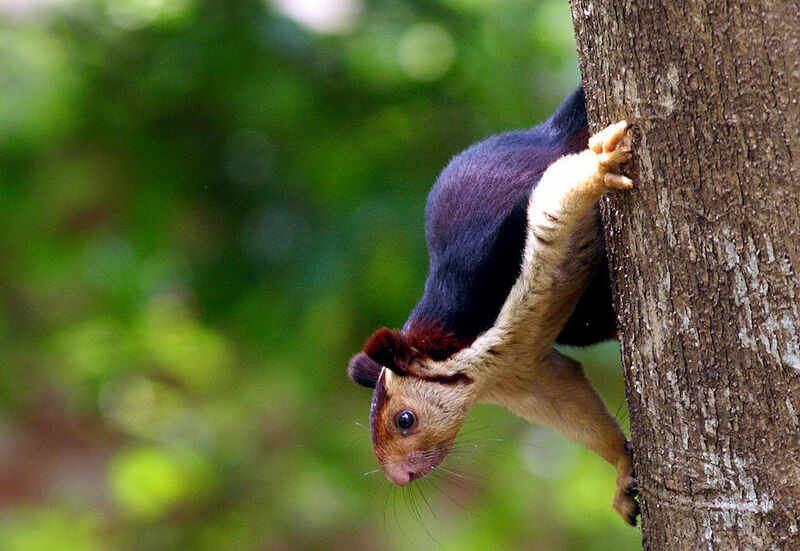 The squirrel itself has to hide and escape leopards and birds of prey. The squirrel is quick and nifty. It can jump up to 6 meters to get from branch to branch, and if that is not enough to escape the dangers of its predators it is also commonly known to stop and freeze to blend in with the branches that surround it. 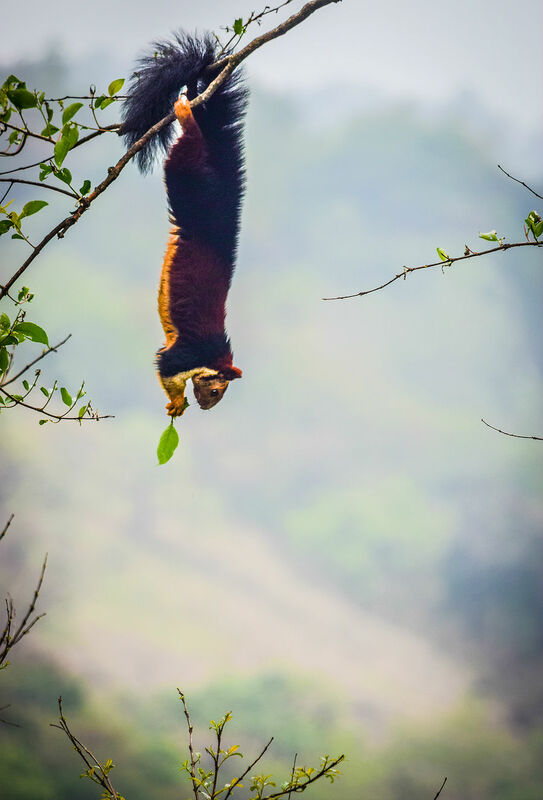 Even though this squirrel only went viral in the past couple of weeks, it was first discovered in the 18th century (1792 to be exact). 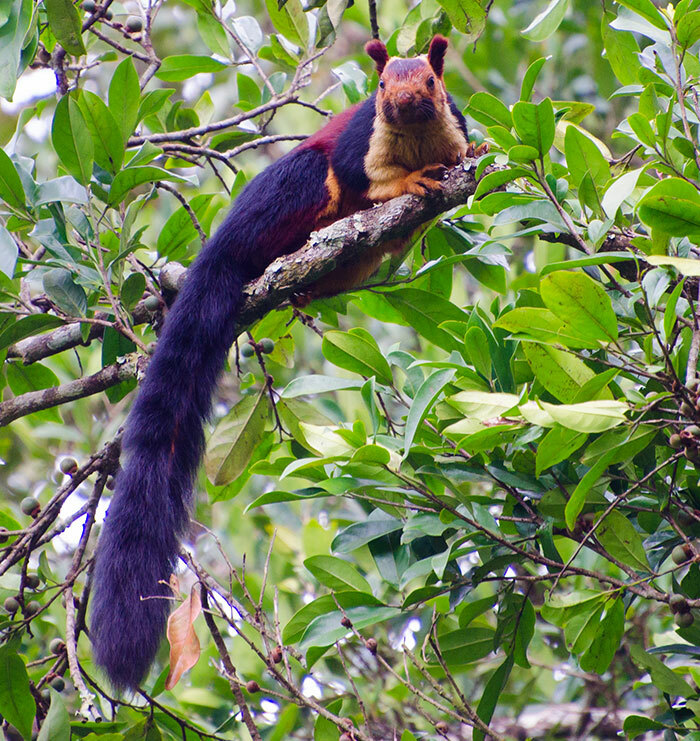 The Indian Giant squirrels are divided into four subspecies. The main difference between them are in color. 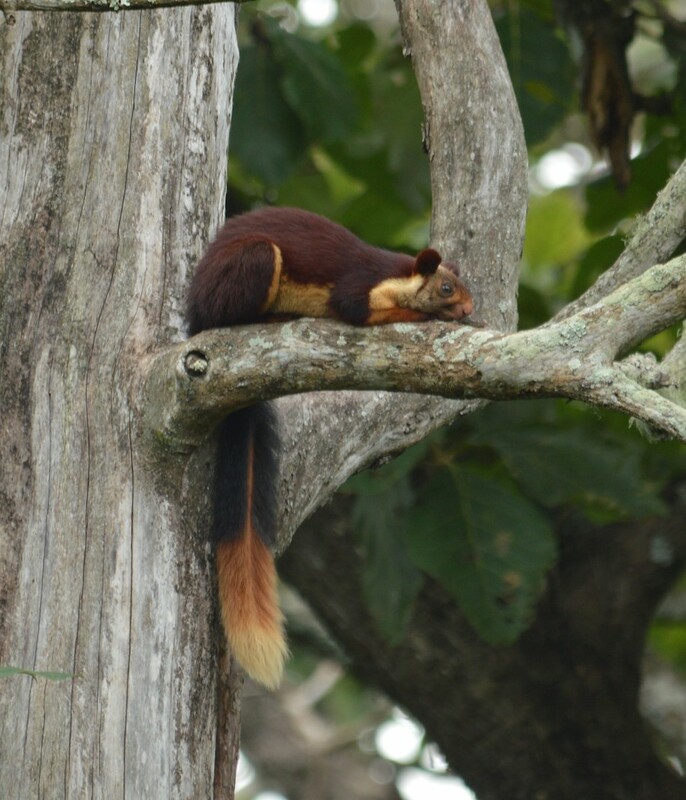 Other species of the giant squirrel can have lighter coloring. 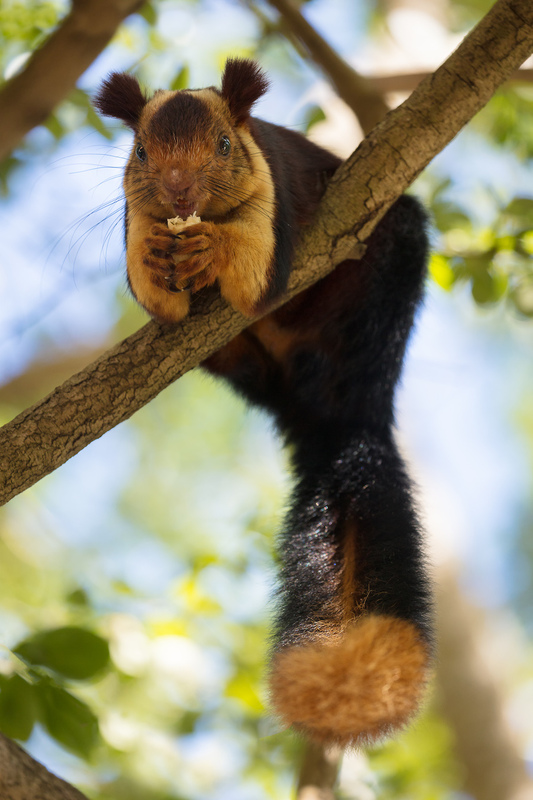 Even though most of their diet consists of nuts, fruits, and flowers, some squirrels are known to be omnivorous. In addition to their vegetarian diet they have also been known to eat bugs and eggs of the smaller birds who co-inhabit the upper levels of the trees they live in.